The concept of athletic shoes or “sneakers” has been around since the 1800s, but wearing them didn’t become “sneaker culture” until it was deemed cool by the streets — by black and brown kids growing up in poverty. The first iconic sneaker, the Converse All-Star basketball shoe, debuted in 1917 and their Chuck Taylors were the first to go mainstream. There’s no argument that Chucks, with their rubber sole and canvas body, helped bring basketball into the global arena. Converse outfitted athletes from the New York Renaissance, the first all African-American basketball team, to the USA’s first Olympic basketball team. Later, players like Wilt Chamberlain sported Chucks, which became part of basketball tradition. 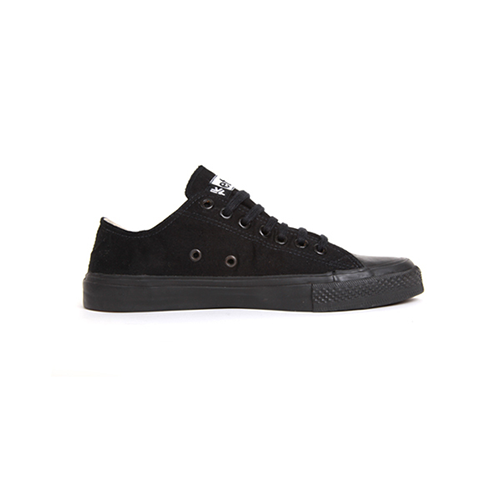 It was the communities watching their favorite athletes like Chamberlain score 100 points while wearing Chucks that authentically created this subculture, forever transforming a utilitarian item into a stylish one. Other sneaker brands like Adidas, Reebok, and Puma came to market beginning in the 70s, but the 80s revolutionized sneakers forever. In 1984, Michael Jordan debuted his first Air Jordan collaboration, and two years later, Run DMC made their hit song “My Adidas” — sneaker culture took root and a modern hip-hop sensibility grew into it. There’s no real formal definition of “sneaker culture.” It’s the heartbeat of hip-hop, the pulse of sports, and the backbone of inner city lifestyle. The 80s were pivotal in black culture. It’s no secret that the Reagan Era created policies that weren’t geared toward the economic well-being of black America. With obvious racism, high poverty, and the continued negative effects of Nixon’s war on drugs, being black in America had its overt challenges — the silver lining was unified cultural resilience. Harmful policies implemented under Reagan strengthened Afrocentric and pro black movements, which had distinctive style. The decade yielded pride, especially with achievements like the debut of the Cosby Show and Oprah’s legendary talk show that would go on to air for 25 seasons. Visibility in the black community was powerful. People felt good and wanted to look good, and showing off style was a cultural norm. This overlap between athletes, hip-hop artists, and street style reflected the culture’s lived reality. The DNA of the culture was always about creating an identity and sneaker culture in the context of fashion created important notions of inclusivity. The flip side however, is that looking “cool” had a psychological shadow of wanting and almost “needing” material things because the black community felt like they needed to be seen, heard, and recognized. With the rise of fast fashion comes a greater understanding of its detriments, and sneakers are certainly in the mix. Corporations aren’t the most genuine social change agents, but through authentic collaborations, noise is being made. Parley for the Oceans, an organization which takes plastic from the ocean and transforms it into soft materials for shoes, has worked with both corporate partners — Adidas — and with hip hop moguls, like Pharrell Williams. Puma made a suede sneaker using 100% recyclable material, and Gucci made a collection from bioplastic, an alternative to petrochemicals. Several independent sustainable sneaker brands are emerging in the marketplace, such as Etiko, Matt + Nat, Native Shoes, and Movmt — but Veja is most notably the coolest. These ecological kicks focus on fair trade sourcing, organic materials, and transparency. And although this French brand is pretty cool, it’s not representative of the culture that is all about using tools on your feet for cultural expression. In the grand scheme of things, sustainability is still taboo in this space and the reality is producing sustainable shoes in volume is going to take time. Despite the lack of media visibility, minority influencers and authentic tastemakers are building awareness and talking about the connection between creative cultural movements, education, and urban sustainability. Urban areas are most affected by environmental detriments but are also home to the most stylish and influential humans. Hip-hop culture has no choice but to create the next real change toward sustainability, not for the masses but for the culture, which will in turn trickle down, much like anything else. Grassroots and mainstream hip-hop movements are creating a narrative of black and brown beauty, as well as highlighting the importance of community. These concepts, propelled by the voice of #BlackLivesMatter, have helped push messages of ethical production and consumerism. For communities of color, sustainable style is going to look and feel different, because we are fighting multiple battles at once. Bohempia uses hemp, the strongest natural fiber — it's also antimicrobial and antiseptic and keeps your feet fresh. Hemp requires 50% less water and 95% fewer agrochemicals, and does less damage to soil in addition to having a higher yield than cotton. Their shoes are produced in Czech Republic from EU-made materials. After creating the world’s first fairly manufactured soccer ball, made with rubber and without child labor and inhumane conditions, Ethletic introduced sneakers to their collection. They offer fairly-traded sneakers, manufactured in a sustainable and environmentally-friendly way, using established Ethletic supply chains. The soles and glue come from FSC certified rubber plants in Sri Lanka. Etiko sneakers are 100% vegan. They are committed to paying fair prices, using ethically sourced and traded raw materials, and underwriting additional social premiums to be invested by workers into improving their businesses and communities. Etiko chooses to do business with factories that are committed to upholding labour rights and independent, third party audits. All Keep products vegan and cruelty-free. They also produce all of their footwear in factories audited by international, third-party non-profits who monitor ethical working conditions. They use use natural, organic, and sustainably-grown materials as much as possible and treasure the longtime traditions of handicraft, especially in textiles, by sourcing materials from artisans in Guatemala, Japan, and North America. Matt + Nat has been an animal-free brand from the start. Over the years, they’ve experimented with different recycled materials such as nylons, cardboard, rubber, and cork. Since 2007, they’ve been committed to linings only made out of 100% recycled plastic bottles and recently introduced recycled bicycle tires to their collections. Various vegan leathers are used in production — the scientific terms are PU (polyurethane) and PVC (polyvinylchloride). PU is less harmful for the environment than PVC and they make it a point to use it whenever possible. The bags are then produced in China, in small factories they’ve had long-standing relationships with. The People’s Movement creates eco-hip footwear and accessories that stand for reduction of single-use plastic. They pair eco-conscious materials with upcycled plastic bags found in Bali to create products that help protect our planet. Movmt also supports organizations like 5 Gyres that have systematically reduced plastics through oceanic research, collaboration, and action. Find a store here. Nae was born under the mission of no animal exploitation and focuses not only the natural and ecological materials, but also the design, style, and quality that are already recognized in Portuguese footwear. All the products they manufacture are ethical and designed for the consumer and their comfort. Nae works with natural materials such as cork and pineapple, recycled materials such as tire, airbags and PET plastic bottles, and synthetic materials such as ecological microfibers. Native shoes are “Beast Free,” which means they are always vegan — and they believe in respecting animal and human friends equally. Native currently works with factories in China and Vietnam to produce all of their shoes and pride themselves in their factory conditions and stringent ethical practices, including the prohibition of forced labor, regulation of wages, and monitoring of working hours. Veja is a well-known sustainable shoe brand from France. 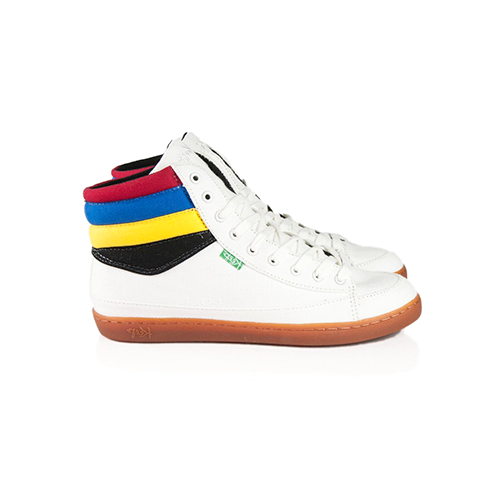 Their trainers are ethically made in partner factories located in the state of Rio Grande Do Sul. Veja carefully sources each of their materials to create high-quality items and adhere to numerous sustainable practices along the way. Not all of their sneakers are vegan, but they have a selection here. UK brand Will’s Vegan Shoes is about rocking the latest fashions while paying fair prices and not hurting animals or people in the process. Their shoes are designed with quality in mind and created with microfibers that look, wear, breathe, and resist water just like leather. The entire range is free of animal products and workers are protected by European employment and safety law. Cover and inside illustrations by Vivian Shih. View her work here or follow her on Instagram.